In August of 2014, I wrote an article called "Metamorphosis" where I first explained our transition to the two-block model (aka two blocks a year, each with a large and small set). In that article, I told you all that we were going to stop producing core sets. Many were curious about how we expected beginners to learn to play without a core set as a ramp into the game. I said that as soon as we had information about what the replacement was going to be, I would tell you all. Well, today is that day. Let me start by explaining our "ramping" philosophy. The idea is that we want to create a path for someone who knows nothing about Magic to begin playing, and then have a series of products that allow them to slowly acclimate to the game. The metaphor I like to use is a zero-entry pool. That's a pool where there is a slanted floor and you can walk into the pool. It matches how a lake or ocean meets the shore at the beach. The idea is simple: you can start with the water being less than an inch and then slowly advance at whatever rate you're comfortable with. You will eventually be able to get to the point where the water is deep, but not until you are comfortable enough that you have chosen to wander that far. When we stepped back and looked at our entry ramp, what we found was that we had a major gap. To use my zero-entry metaphor, players were able to start wading in, but then at the one-foot level, there was a drop-off to three feet. It wasn't gradual and was a bit intimidating. Let's take a look at our existing lineup of products so I can show the space we were trying to fill. Sample decks are 30-card monocolor decks built around a Planeswalker. They're given away for free (usually from stores but also at certain events) and are designed to be a simple first-time play experience. Each deck has a light theme and includes commons, uncommons, and a single rare (which is usually splashy and fun but not a tournament staple that would make non-beginners want the decks). The cards in the decks are Standard-legal and you can combine any two sample decks to make a deck legal at a Standard tournament. Magic Duels is a digital way to play Magic and is available on a number of platforms (Xbox, ioS, and Steam on PC). It has a built-in tutorial and various campaign adventures, and allows you to build your own deck to play against either the computer or other players. There is the basic game and then add-ons for various expansions. They're both free to play. We want the new player to have the ability to sample the game without having to spend any money. They have a simple play experience. 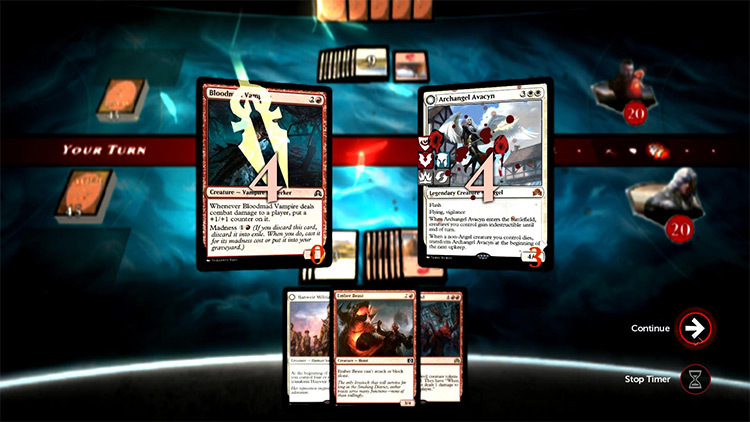 Both sample decks and the beginning of Magic Duels are designed to introduce players to the game without overwhelming them with the complexity that the full game offers. Both are flavorful. The sample decks and Magic Duels were both designed to play up the flavor of the game. They both use planeswalkers as a focal point to start. They allow a beginner to learn. Sample decks are intended to be distributed at places where there is a human available to help teach the new player. Magic Duels has its "teacher" built into it. Trained humans and smart AI have proven to be the best means for teaching people how to play. This was the area we needed to fill. Core sets were supposed to fill this slot before, but we found that randomized boosters made for a very inconsistent experience. Part of easing you into the game was keeping a continued focus, which the core sets weren't particularly good at. Once players have the basics, we've found the best way to help them start deck building is to give them access to a bunch of cards. The Deck Builder's Toolkit is designed to be that product. 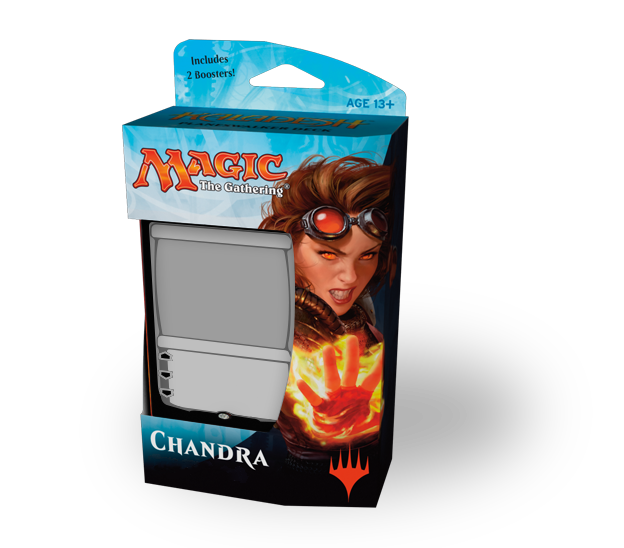 It gives players a volume of cards (285 total, mostly loose but a few in booster packs of recent product) along with some deck themes to help get them started. Notice that deck building doesn't happen until the third product in the line, because it's one of the more complicated aspects of the game. Finally, it's time to introduce the bread and butter of the game to the new players: the expansion boosters. This is obviously the focus of the game, and it is the thing new players will always be driven to by other invested players because it's where the most excitement lies. The first thing we did was try to figure out the goals of the product that was missing. Deck building is a fun part of Magic, but it's an added complication and we didn't want players focusing on it until the third product, so we knew we wanted this product to be pre-built and playable out of the box. As I mentioned above, we want the early products to keep a cohesive focus. That meant we had to look at what the first products were doing and then stay consistent. Both sample decks and Magic Duels had a strong Planeswalker focus, so that is where we started. On one side, we had products that delivered the simplest gameplay. On the other, we had a product where you built your own deck. That meant that this product was somewhere in the middle. We built the deck for you, but it could be a little more complicated. Another problem we had with the core sets is that it was about something different than the rest of Magic. New players look to established players and the established players are all about the current set. This product had to be something that didn't stand alone but felt like an integrated part of the current Magic world. We didn't want this product to be something established players felt obligated to buy, but we also didn't want them dismissing it to the players who had it. It needed to walk a tightrope between being cool enough that the established players wanted to take a look at it, but not so compelling that they felt they had to buy it. That's a lot of restrictions, but we were determined to find something that addressed them all. I'm happy to say we did. So, it's time for me to introduce you to the new product that will be replacing Intro Packs, and then walk you through what it contains and our thoughts behind it. Here's how they're going to work. Each set will have two Planeswalker Decks, each built around a different Planeswalker. Those Planeswalkers will be characters relevant to that block. 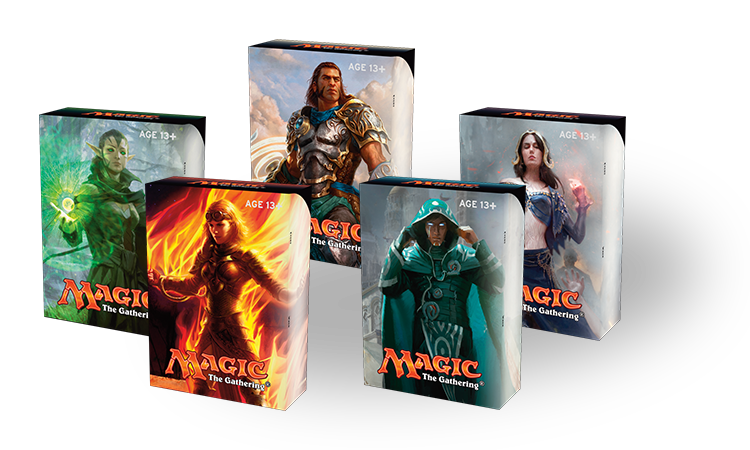 Each Planeswalker Deck will be a preconstructed 60-card deck and will be packaged with two booster packs from that block with an MSRP of $14.99. 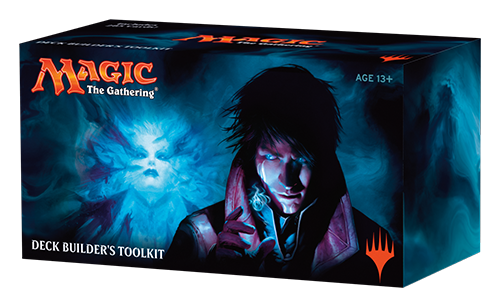 The Planeswalker Decks will be released in each of the eleven languages that Magic is published in. There's one other change coming with Kaladesh that I wanted to talk about. We're giving a facelift to the Fat Packs, and I wanted to walk you through what was changing. First, we've decided to change the name. The name "Fat Pack" has always been a bit nondescript, so we're changing them to "[set name] Bundle." So with the fall set, we'll be creating the Kaladesh Bundle. It will have an MSRP of $42.99. Bundles will come in a decorative, reusable box. The box will use the key art of the set. There will be sixteen of each basic land, all from the block the product is named after. 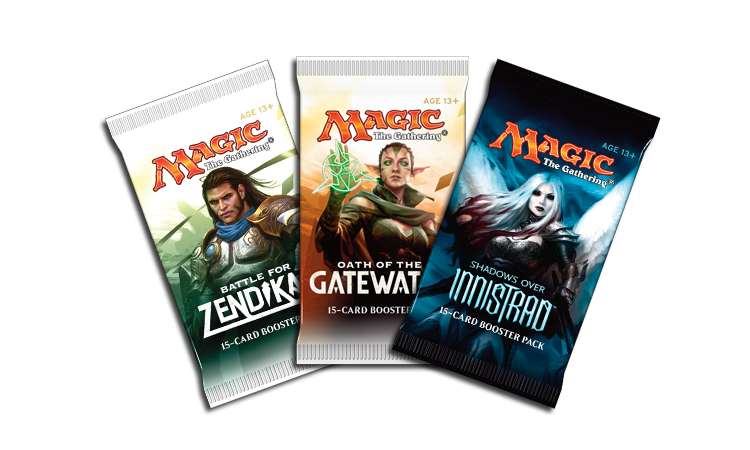 The Bundle will include ten booster packs from the set the product is named after. The Bundle will include a player's guide from the set the product is named after. The Bundle will include a Spindown life counter tied thematically to the set the product is named after. Each Bundle will have only one Spindown life counter, but there will be five different versions for each set. It's not our intent for beginners to buy the Bundle, but we know that many still will. The rules reference card gives them information to help lead them to Magic Duels, where they can use the tutorial to learn. The first Bundle will come out in conjunction with Kaladesh this fall. My goal today was to introduce you to Planeswalker Decks (and the new Bundle) and explain some of reasoning behind how we put them together. I am very interested to hear your thoughts on the new products as well as this article. You can write me an email or contact me through any of my social media accounts (Twitter, Tumblr, Google+, and Instagram). Join me next week, when I explain how we mastered the Eternal. Until then, may you bring some new players to the game and let them try out our new system. "Drive to Work #330—Storm Scale"
In this podcast I explain what the Storm Scale is and how it will help you have a better sense of which mechanics might return in a Standard-legal set. "Drive to Work #331—Storm Scale: Khans of Tarkir"
In this podcast, I look at all the mechanics from Khans of Tarkir block and put them on the Storm Scale.